The American tanker charges the T34 “Calliope” missile launcher. 60 guides for 114 mm M8 rockets, arranged in a group of 36 tubes from above, and a pair of groups of 12 tubes from below. 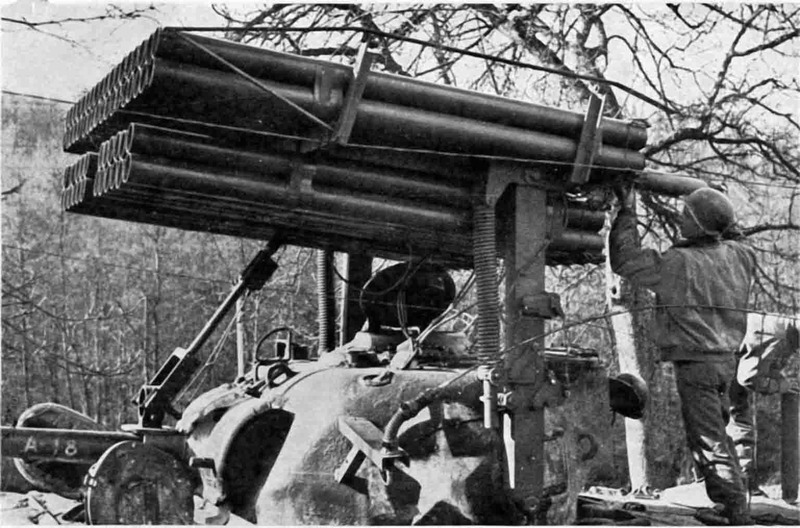 The T34 “Calliope” rocket launcher was used by the Americans in August 1944.